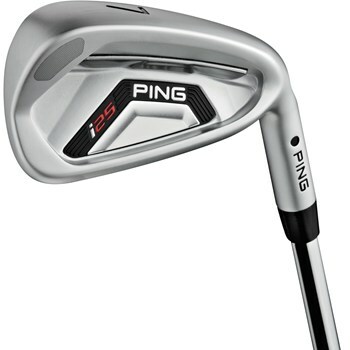 The Ping i25 iron features a 17-4 stainless steel head and is designed for a variety of player types. Its progressive set design provides long irons with head sizes and sole widths that encourage high trajectories and ample forgiveness, while the mid irons and wedges have more offset and are more compact for improved accuracy on approach shots.The CTP (Custom Tuning Port) optimizes feel and trajectories, while the tungsten weighting in the toe provides more forgiveness. The stabilizing bars in the long irons are narrow for increased ball speeds while the stabilizing bars in the short irons are wider to produce a lower trajectory for improved control. The length is listed as standard at 37.25". I assume this is the 7 iron? The length that is listed is for the 6-iron. certified ping clubs, serial # checked ? Unfortunately, due to the size of our inventory and multiple shipping locations, we are unable to provide actual pictures of specific clubs.